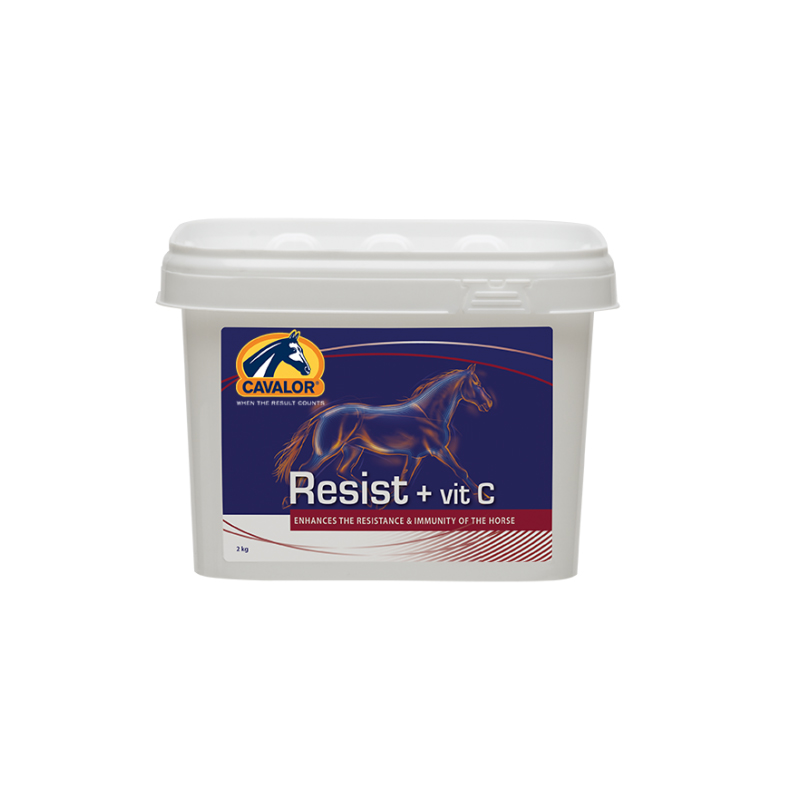 Cavalor Resist + Vit C is designed to support the immune system of your horse. It is useful during the seasonal coat-changing period and for recently imported horses. It can also be used to help prevent skin irritation when traveling to warmer or sandy environments. Travelling and competing can take its toll on a horses’ immune system, leaving your horse vunerable to infection from bacteria and viruses. Cavalor Resist is the ideal nutritional tool to help your horse cope with environmental factors that affect its immunity. Dose: Ponies and young horses give 25g per day, adult horses give 30-50 g per day. Start feeding Cavalor Resist Vit C 10 days before the tie of stress.